In less than two weeks, the 2013-14 NHL season will once again begin. The divisions have been shifted and players have switched jerseys, but come October the puck will drop and it will be as if not a single game has been missed. Fans will cheer for their teams, players will fight hard every shift, controversy will arise, and beautiful goals will be scored. The game will be back, and for an 82 game regular season, a nice change from the black spot that hovered over last season’s embarrassing lockout. While the game, from a fundamental standpoint, does not change, the circumstances certainly have. The offseason was filled with blockbuster trades, large-money signings, and storylines which have set up a script that even Vince Gilligan would be proud of. Here are 5 storylines to watch out for when watching games during hockey in 2013-14. It sounds like a recording, but it seems to be fact that the next 7-9 months will be the last of Teemu Selanne and Jaromir Jagr’s illustrious NHL careers. Nathan Mackinnon wasn’t even born when these two legends first stepped out onto the ice, and their impacts were immediately relevant. Jagr was more than just a player with a fantastic mullet, but immediately a premier goal-scorer and playmaker, winning two Stanley Cups with the Penguins. 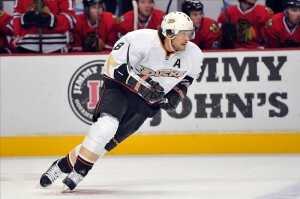 Selanne scored 76 goals in his rookie year, and continued on in his career playing with class, skill, and leadership. It’s been two decades since they were featured as talented rookies, and now it is generally accepted that the two future hall of famers will retire at the end of the season. Because of that, these guys should be followed and watched by every fan of hockey this season. Both are chasing the 700 goal mark, and a stellar season would see Selanne break 1500 career points. Regardless, these two players are a treat to watch, and it is well worth it to see their final season and follow their progress. The saga of the Vancouver Canucks’ offseason has been well documented. Everyone knows of Vigneault’s firing and Tortorella’s subsequent hiring, the Schneider trade, and the impending Luongo saga. Now, after months of criticism, praise, and curiousity, the upcoming season will answer all the questions surrounding the Vancouver Canucks: How will Roberto Luongo play following a summer of drama? Will John Tortorella be the right coach for the Vancouver Canucks to steer the ship back to a deep playoff run? How will the Sedin twins play in their contract year? Of course, every team in the NHL has questions surrounding their club and players. However, few were as prominent in the public eye as the Canucks. All it takes is for a polarizing coach to be hired and a goaltender controversy to be prevalent for the entire hockey community to take notice. The Vancouver Canucks have a talented team, but it will be very interesting to see if they can regain form, or if the wheels fall off after years of regular-season success. When the NHLPA and the owners reached an agreement to end the lockout on a cold January morning, there were certain terms that stood out. From a limit on contract terms to a shift in revenue sharing percentages, there was one addition that every team was very excited about: Each team could buy out two players with no cap penalty to adjust for the upcoming salary cap drop. This compliance buyout was a chance at a clean slate for every general manager and team. The chance to remove a bad contract at no cap cost is unheard of in the capped NHL-era, and certain teams certainly didn’t let this opportunity pass by them. 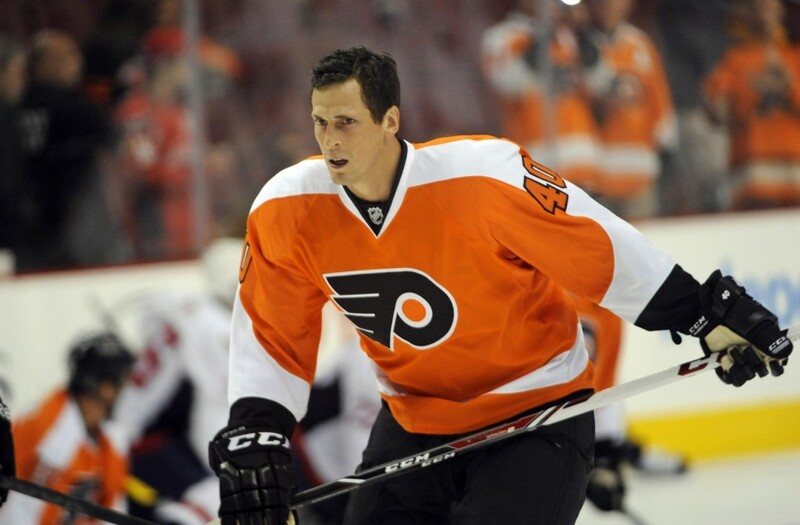 Players such as Daniel Briere, Vincent Lecavalier, Mikhail Grabovski, Tom Gilbert, Hal Gill, Mike Komisarek, Ilya Bryzgalov, and Rick Dipietro were among the players that were bought out and made free agents. Some of the players that were bought out were too old or no longer serviceable players, such as Tomas Kaberle. Others, like Hal Gill and Tom Gilbert, were given Professional Tryout Offers, and will fight to earn a spot in the NHL. However, players like Lecavalier, Briere, and Grabovski are talented players that had bad contracts, and were picked up for a solid amount of money by an NHL team. It is said that revenge is a dish best served cold, and nothing is colder than ice. Getting bought out is slightly humiliating and confidence crushing, and there will be nothing more that those players will want to do than prove their former teams wrong. Seeing how these players perform is definitely a storyline worth watching this upcoming season. In April, May, or even June of 2013, it was not even fathomable that Daniel Alfredsson would be playing in the NHL anywhere but Canada’s capital city. However, following a messy offseason and a bad negotiation process, the Senators’ captain hit the free agent market and signed with the Detroit Red Wings. He’s not the free agent signing that will dictate a team’s future, but Alfie’s decision to go south of the border has implications far beyond the ice. Similar to when Mats Sundin left the Maple Leafs to play in Vancouver, seeing a legendary Senator leave town will hurt and shock Ottawa fans this season. This season, many questions will be answered that will dictate whether or not Alfredsson’s decision will be an impactful one: How many points will he score? How will the fans react when he returns? Eventually, like with Sundin, bitter Senators fans will forgive him. But for the 2013-14 NHL season, to see how the Alfredsson saga will end will certainly be something worth watching. Every offseason, hockey rumours swirl and notable names get thrown around in possible trade scenarios. However, this year, players in rumours actually got moved. Tyler Seguin, following an underwhelming season and playoff performance, was moved out of Boston in exchange for Loui Eriksson and other prospects. Bobby Ryan, following several months of speculation, was moved to Ottawa and Jakub Silfverberg headed to Anaheim. Cory Schneider was moved to New Jersey, and finally ended the goaltending saga in Vancouver. This season, one of the biggest points of interest will be to see how these players will perform in their new surroundings. Seguin was moved with Boston citing a lack of effort and professionalism as reasons for his departure. His performance in Dallas could dictate whether or not the Bruins’ inclinations on the 21-year-old were correct. In Anaheim, seeing how Ryan plays alongside Jason Spezza will tell whether Anaheim’s decision will be beneficial or harmful to their development as a team in the future. Watching Schneider play this year will also decide if the Canucks moved the right goalie, considering Schneider is on a weaker team and will be relied on heavily when Brodeur is on the bench. Watching these trades play out will take longer than one year, but it will certainly be a nice indication.